Hoping to put your hard-earned money into a memorable vacation for you and the people closest to you? Why not take a trip all by yourselves and sail the seas for island getaways and tropical destinations. Consider investing in a boat that will take you to all these places. Purchasing a boat is not for the weak of heart. Apart from the vessel’s hefty price tag, you have to see to certifications, insurance costs, upkeep, and maintenance. Additionally, mapping out a spot or a “parking space” for your boat in ports requires serious money too. So if you are determined, remember to buy smartly. 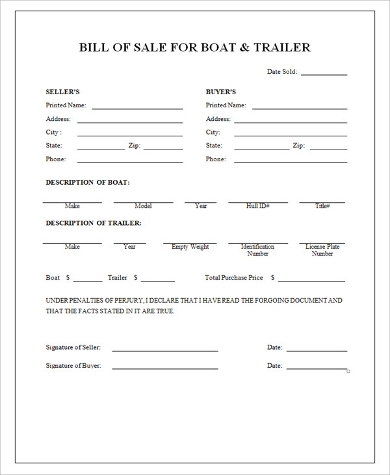 Take care of the necessary documentation and procedures, most especially your boat bill of sale. 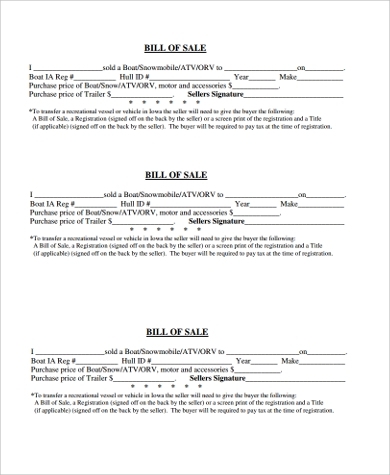 It should have the basic features of these Bill Of Sale Samples. 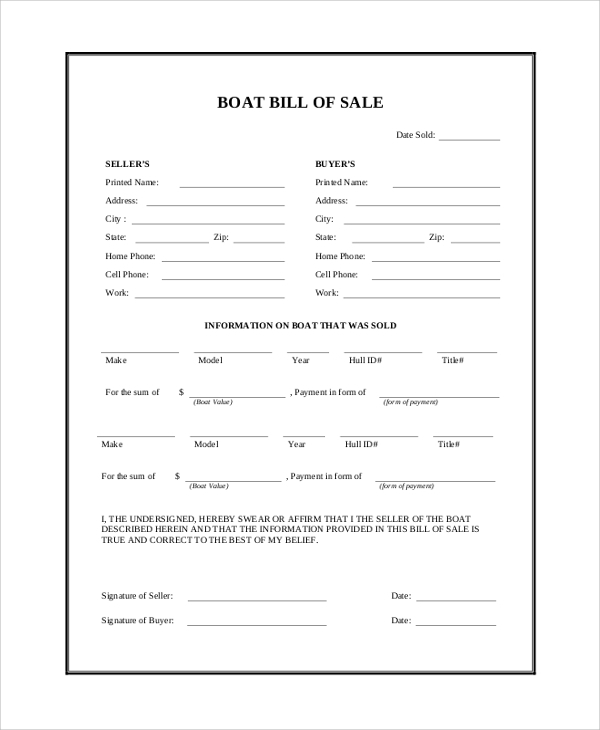 For more on a boat bill of sale, read on below. 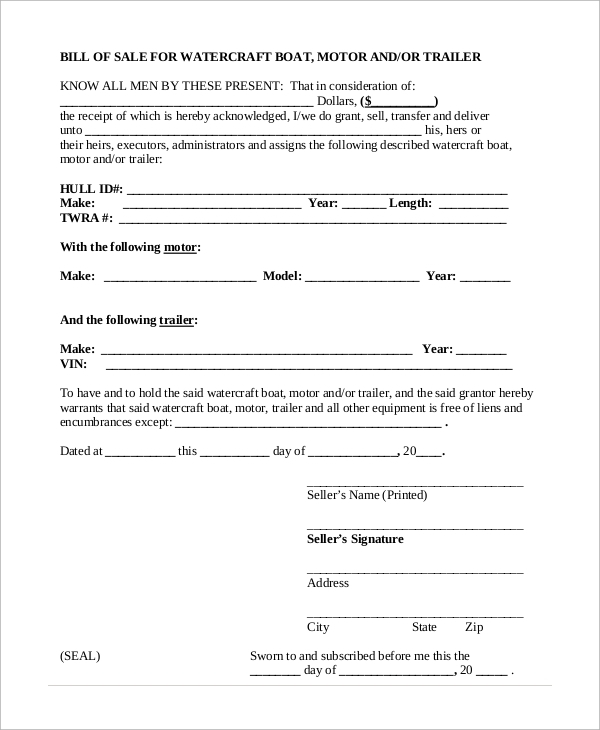 As you navigate the boat market for your perfect vessel, it is advised by old-timers to carry a bill of sale with you to transactions. 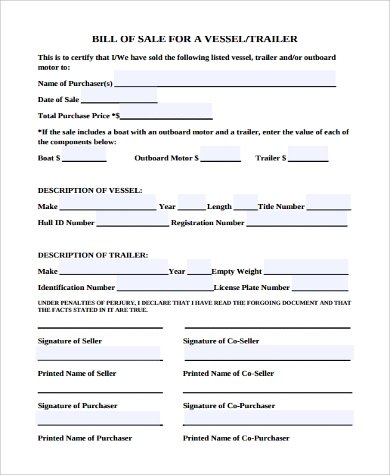 Sellers will provide for a copy of the final bill of sale, but bringing your own is good too for your own record and reference. 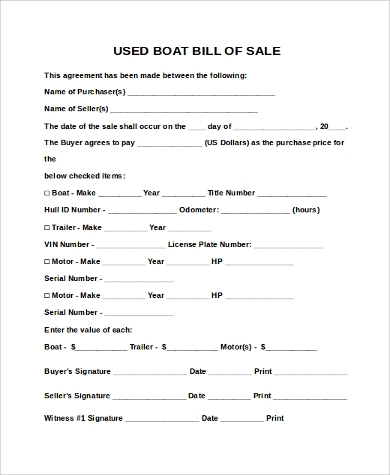 The bill of sale formally documents your purchase of the boat. 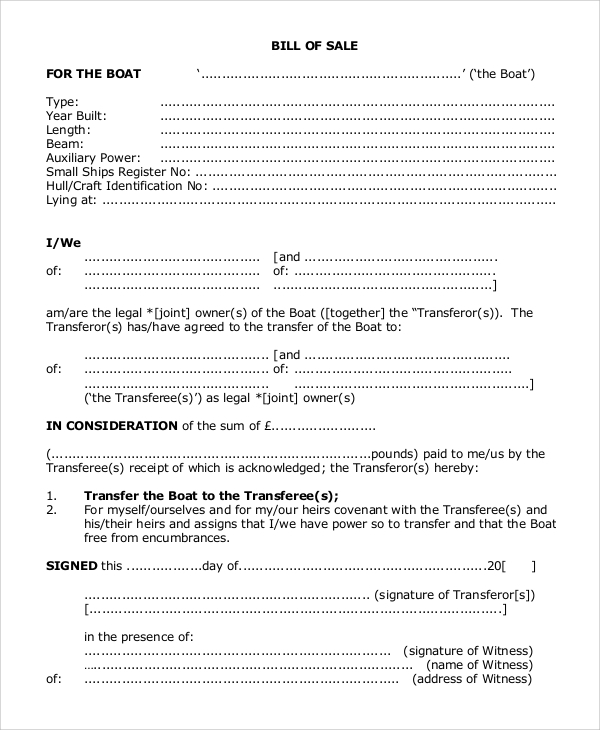 It certifies that you now legally own the watercraft. the signatures of both the seller and the buyer. 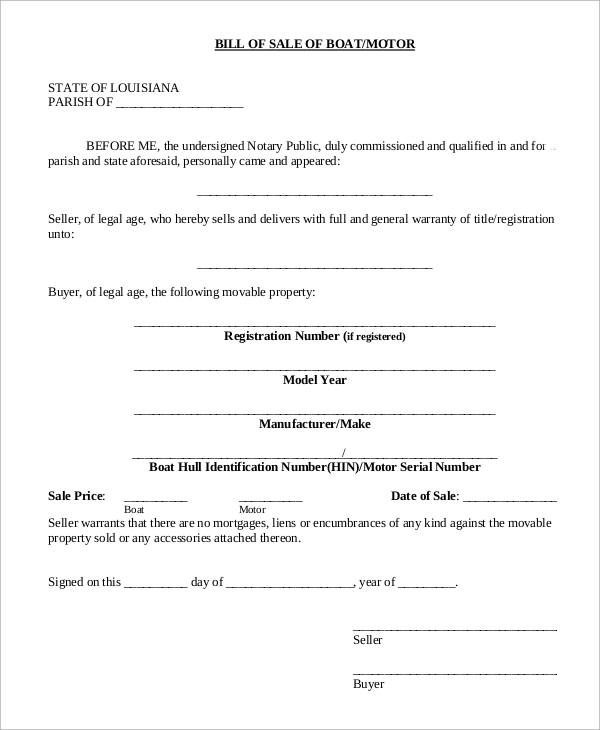 If you are carrying your own bill of sale into the transaction, you can easily fill out this Blank Bill of Sale or this Simple Bill of Sale with all these details. NADA or National Appraisal Guides Inc., which publishes the prices of vehicles, motors, and vessels, in the United States, listed that at minimum, a reasonably sized boat would cost about US$20,000. a selection of so many other types boats to choose from. Be savvy in selecting the boat that you need. 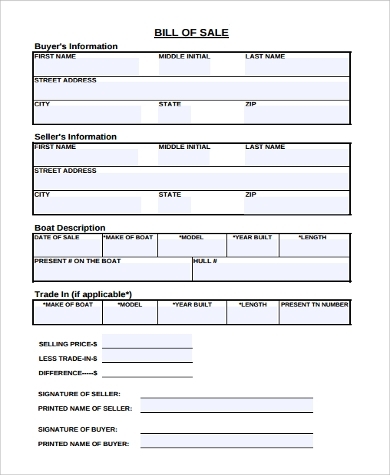 Be an informed buyer too, and never sail away from transactions without the boat bill of sale.